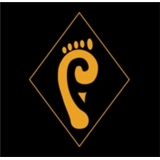 Phoenix Foot and Ankle (Phoenix) - Book Appointment Online! We welcome you as a patient to our podiatry practice. We are grateful that you have chosen us as the health care provider for your feet. Our staff is committed to providing the finest podiatric care in a warm and friendly environment in order to make you feel relaxed and comfortable. Our practice is dedicated to providing quality foot and ankle care to all ages of patients. We believe that prompt diagnosis, early intervention and prevention are essential for the care and treatment of your feet. We provide a full range of podiatric medical care including both conservative and surgical therapies. We spend quality time with each patient in order to better understand your foot care needs, and to recommend the best course of treatment. Dr. Abraham asks thorough questions, listened very carefully & was very detailed in explaining my injury & her recommendation. She made sure that I was in the most helpful boot:brace before I left her office!